Gorgeous! Love this Dolce & Gabbana Girls Mommy & Me Fashion Devotion Black Runway Dress. The perfect mini-me dress directly from the Dolce & Gabbana Women’s Fall Winer 2018-19 Runway Show at Milan Fashion Week! You can’t get more stylish than that! Your little fashionista will LOVE wearing this DG Girls luxurious black crêpe dress by Italian designer Dolce & Gabbana. It has a stunning red gem heart and gold ‘Fashion Devotion’ embroidery on the front. This sleeveless design has pretty white lace ruffles. 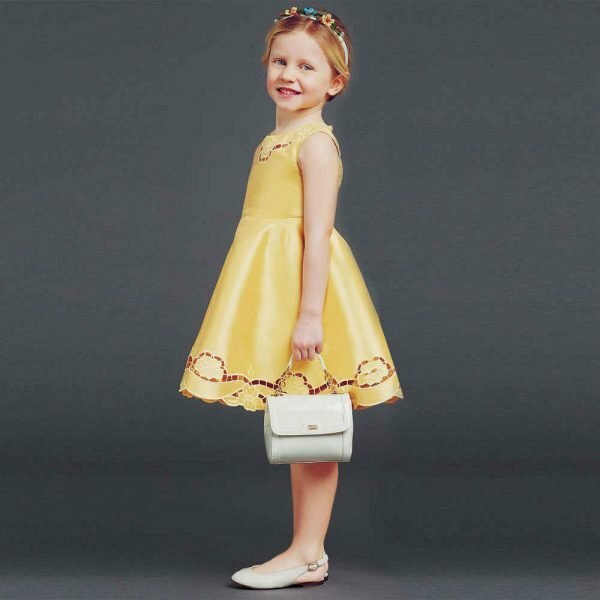 Complete the look with a pair of Black Dolce & Gabbana Girls Balerina Shoes and a royal jeweled crown. Unfortunately, this gorgeous girl’s DG Fashion Devotion Dress is not currently available. 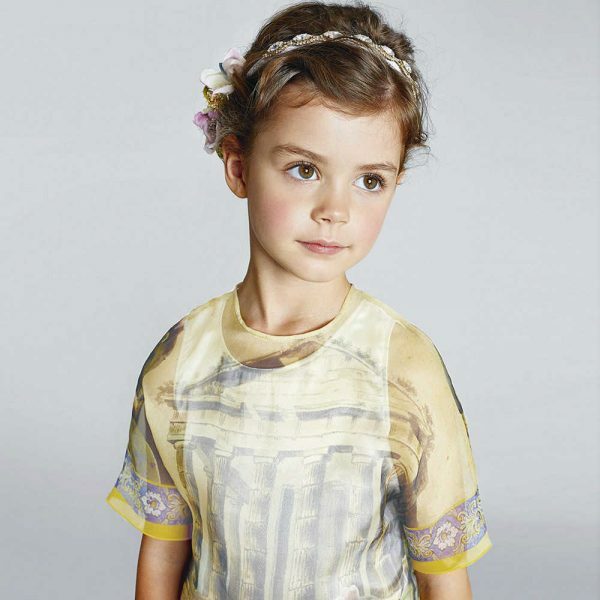 You can shop similar Dolce & Gabbana Girls clothes from the current collection online.